Last week, we reported on California's tragic wildfires – and the mistruths in the president's response to them. If you missed it, the TL;DR is that President Donald Trump blamed forest management for the fires, when the cause is really a mix of climate factors, budget cuts and some unfortunately strong winds that spread the blaze. Forest management has been working hard to fight the fires. And as of Monday, the Woolsey Fire – the biggest one affecting Southern California – was 91 percent contained. Camp Fire, the fire affecting Northern California, remains dangerous. Right now, it's about 70 percent contained – but firefighters say it might not be fully contained until the end of the month, NPR reports. It has killed 79 people, and there are nearly 700 people still missing. While the most immediate danger of wildfires are the blazes themselves, they can also affect the air in the immediate area. 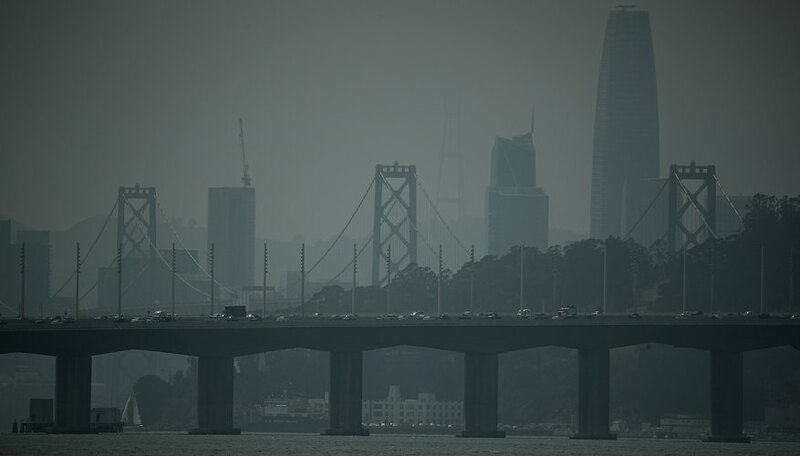 Thanks to the smoke from the wildfires, Norther California's major cities – like Sacramento and San Francisco – are among the most polluted in the world. The pollution is so bad that experts estimate that each day in NoCal is equivalent to smoking 10 cigarettes. Some of the effects of inhaling smoke are harmful, but temporary – issues like allergic reactions and asthma get aggravated by smoke particles, but should get better gradually after the smoke clears. Others are more permanent. As an air pollution expert at the University of Southern California tells Popular Science, particulates containing heavy metals can build up in your body, causing longer-term health problems. Exposure to heavy metals ups your risk of respiratory problems, and ups the risk of cardiovascular problems for older adults. The smoke can have a smaller effect worldwide, too. Smoke plumes can blow across the entire continent, creating visibly smoky conditions for some regions and more subtle effects – like a red moon – in others. And it can even cross the Atlantic ocean, affecting the air in Europe. One bit of okay(ish) news regarding Northern California's Camp Fire is that rain is on the way, which should make it easier for firefights to contain the blaze. As CNN reports, the predicted heavy rains could not only help snuff out the fire, but provide enough moisture to lower the risk of more wildfires for the rest of the year. There's a catch, though. 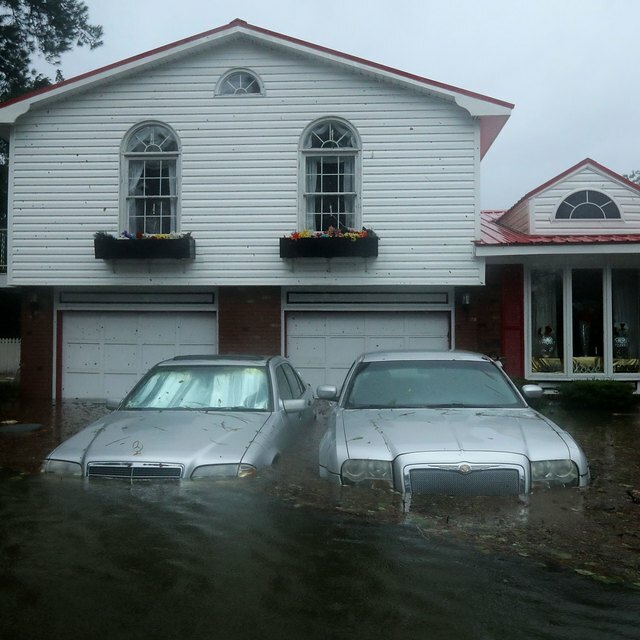 Torrential rains could easily cause flooding, mudslides and even more treacherous conditions for firefighters and evacuees in the area. It will also make it harder to workers to search for missing people. And the rain is likely to create ash flows: buildups of sludge created when ash from the fire mixes with water. Southern California's Woolsey Fire is likely to see some rain, too. While it won't get the same torrential rain as Northern California, Southern California could still experience flooding. If you want to help those displaced by the fires – and, potentially, the coming flood – check out this guide to learn how you can make a difference. Tremblay,, Sylvie. "California's Wildfires Have Made NorCal's Air the Worst in the World." Sciencing, https://sciencing.com/californias-wildfires-have-made-nocals-air-the-worst-in-the-world-13716038.html. 27 November 2018.